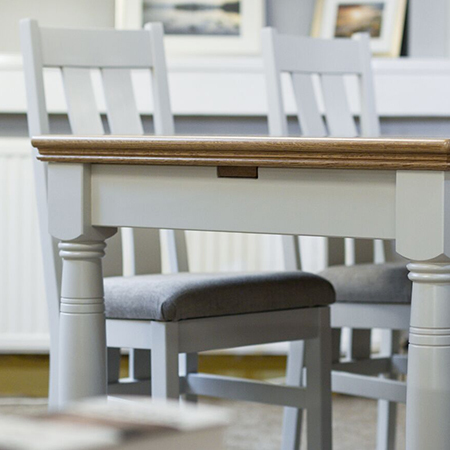 Our Beautiful Oxford and Island Breeze furniture collections are both made at a small independent factory in the South West of England, just a few miles from Bath. 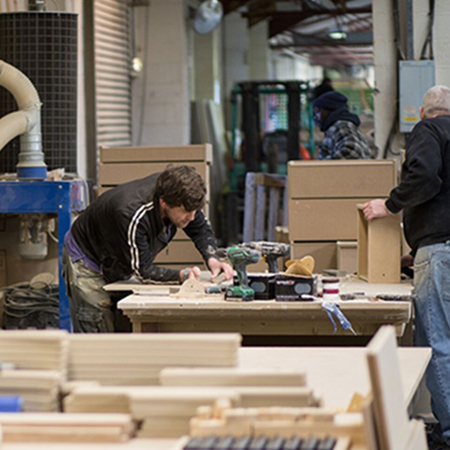 We don't mass produce this furniture or hold stock piles of finished product, quite the opposite in fact, each piece is made individually to your order, in your chosen colour, in your specified finish and even in your own bespoke size if required. Although the factory invests continually in modern machinery there is plenty of traditional skill on show. Pencils, Rulers and tape measures are never far away . 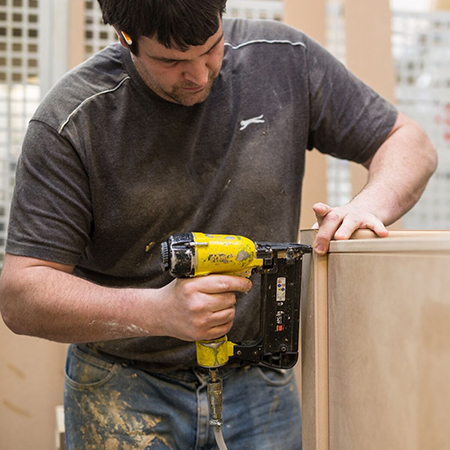 Arguably one of the most important and time consuming parts of the build process is the initial cutting of the materials needed to build your cabinets. We take a lot of time and care in this part of the process because it needs to be right first time, a misplaced cut at this stage can spell disaster later on! 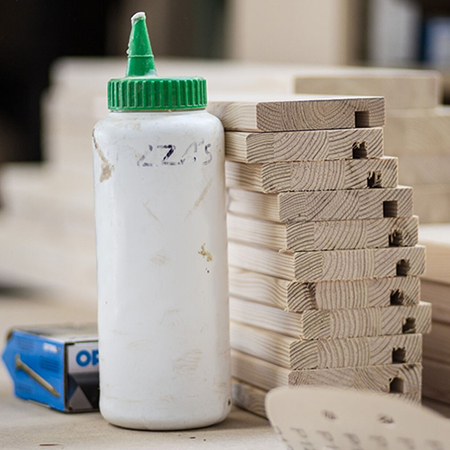 With the strength and quality of modern epoxy glues it isn't strictly necessary to us traditional Tongue and groove, mortise and tenon or dovetail jointing, but when hand building a piece of quality furniture it somehow just feels right to use these tried and tested traditional techniques. So we do! Its just a shame we always paint over them! 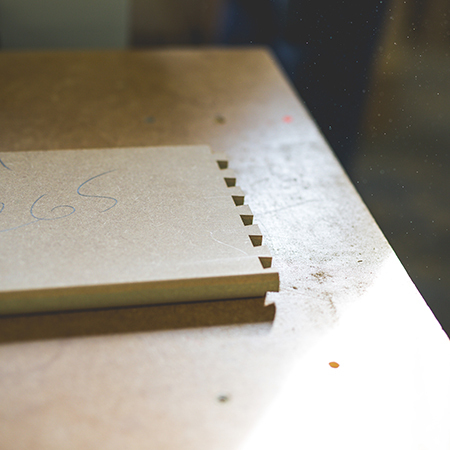 Drawer boxes are always an important part of any piece of furniture, so we like to make sure ours are built properly. 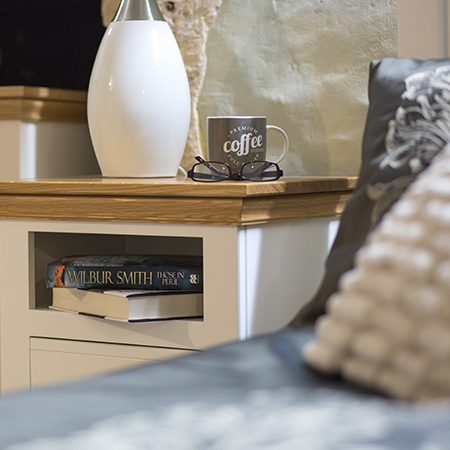 All the drawer boxes in the Island Breeze or Oxford furniture collections are built with 20mm thick front side and back sections, the front is dovetail jointed for a correct boxed finish and the rear is glued and doweled. The bottom of the drawers are made using a full 10mm thick board, so no saggy bottoms with these drawers. They are all assembled by hand and tested for strength. 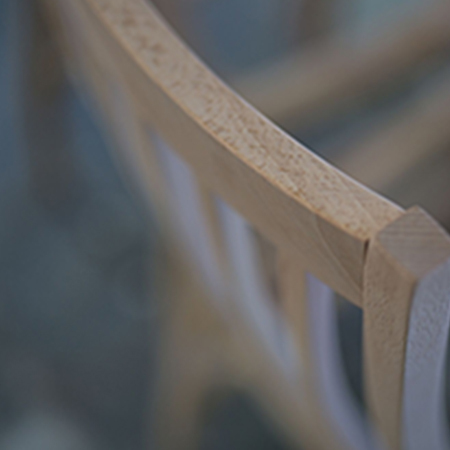 Making sure the final finish of your piece of furniture has the perfect smooth look that we are renowned for starts way before the paint shop. The engineered timber we use to build the carcass of the Island Breezeand Oxford Furniture is the best available. 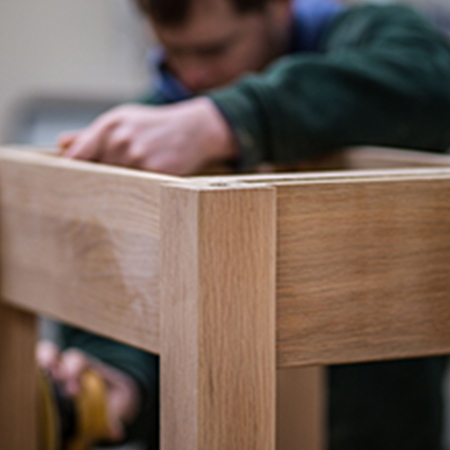 Whilst we use grade one American Oak for the beautiful Oak tops of your furniture, and trust us, they really are lovely, the main carcass of the Island Breeze and Oxford Furniture is built using a high density engineered timber. This engineered timber is made using a combination of hardwood and epoxy resin which is formed under intense pressure to create a very dense, stable material which is the perfect base for building painted furniture. 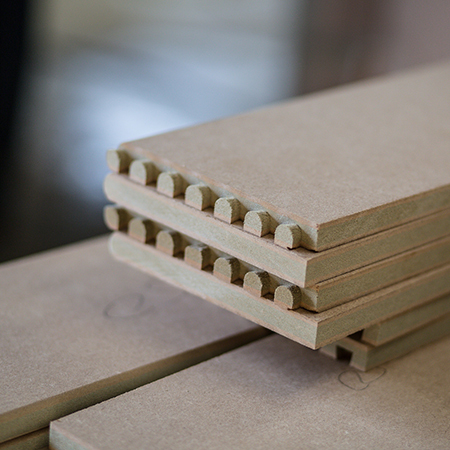 Why do we use an Engineered Timber rather than a solid wood construction? Simple really, the Island Breeze and Oxford collections are our premium collections and its the best material for the job. of your furniture. The only drawback is that with a density of of around 900kg/m3 the engineered timbers mean that our furniture is very heavy, but that's not such a bad thing. 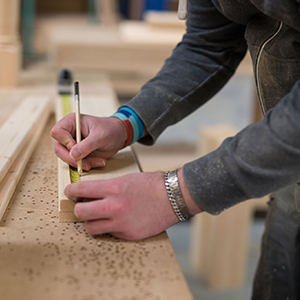 We also select engineered timbers which are designed for optimal uniformity which, along with the fact they they are entirely free of knots, helps us to create the perfectly smooth finish you expect. All of the legs on the Island Breeze and Oxford furniture, whether turned or straight on dining tables, coffee tables and dressing tables are built using ‘unsorted grade' Nordic Red Pine. Contrary to how it may sound the ‘unsorted' grade is the best available on the open market. It is uniform and almost entirely knot free so is good for painting and provides the additional strength needed for a supporting leg. beautiful grain patterns which will vary between each piece. 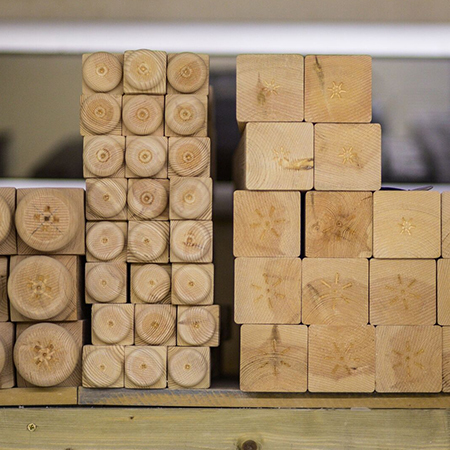 Timbers are hand selected for each piece we build. That's right, and why not English Oak? well that's an easy one……..there isn't any! We used it all about 200 years ago I'm afraid building battleships, conquering the Caribbean and fighting the French. So whatever your political standing on our past exploits it didn't leave much commercial forest in the UK. Virtually all of the Oak woodland in the UK is ancient protected forest and whilst there is a tiny tiny amount of Oak timber created through natural forestry management this is reserved for special and heritage building projects. American White Oak is the major export timber for the United States and is used all over the world for making fine furniture. It is both managed and sustainable. 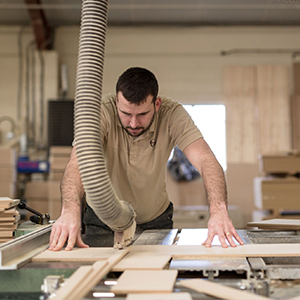 More information on the sustainability of American Hardwoods can be found here. 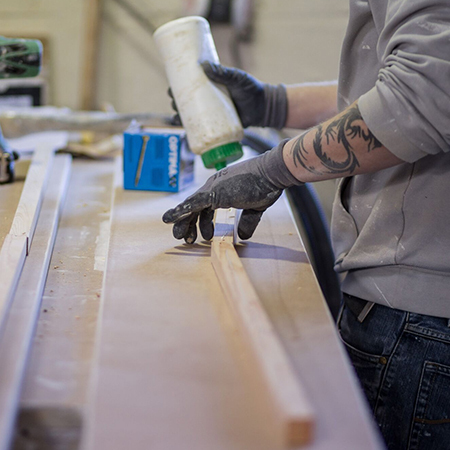 Using the traditional skills only found in a classic workshop environment the carefully prepared sections of your furniture are assembled ready for the the paint shop. It is at this stage that the benefits of hand production really start to stand out. 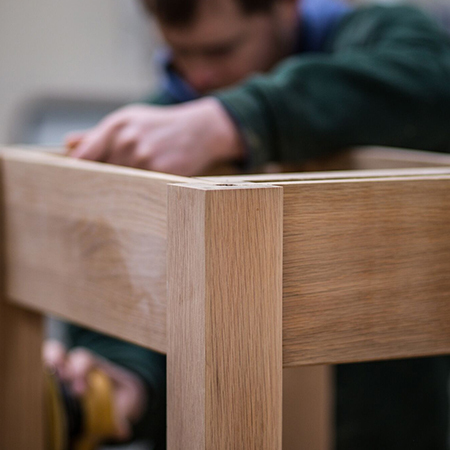 Each join, each facing and every part of the furniture is inspected as it is being built, and any slight adjustments can be made here and now to ensure the finished article is perfect. hands of our skilled paint shop operators They may have the most fun job of the whole process but the paint shop is certainly the most serious place in the entire factory. What about the paints we use? Our commitment to using only the best materials for the Island Breeze and Oxford collections continues in the paint shop. The paints are supplied by a very well respected British paint manufacturer who among other things also supply all the paint to Sunseeker Yachts. In our opinion if its good enough for a multi million pound motor yacht, then it might just be good enough for us to paint your furniture with. How tough is the finish? All the paints we use are Catalysed paints. Catalysed paint, unlike most other types of paint, contains a hardener that allows it to cure and dry more quickly. Once cured the paint takes on a very smooth finish and a hardness almost akin to a plastic coating. Most paint used by car manufacturers are catalysed paints so they are very tough. 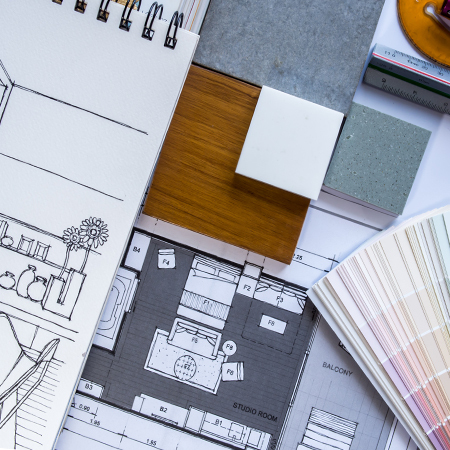 Other Advantages of Catalysed Paint The biggest advantage of catalysed paint over usual types of paint is that it does not allow solvents through the surface. Most paints, over time, allow microscopic holes to form after they've dried, which enables liquids, air and other elements in the environment to deteriorate the paint. Because catalysed paint dries more quickly, these holes take much longer to form, and the coat, therefore, lasts much longer than conventional paints. If these feet are still in place when the furniture arrives with you Don't panic at their appearance, just twist them off and throw them away! 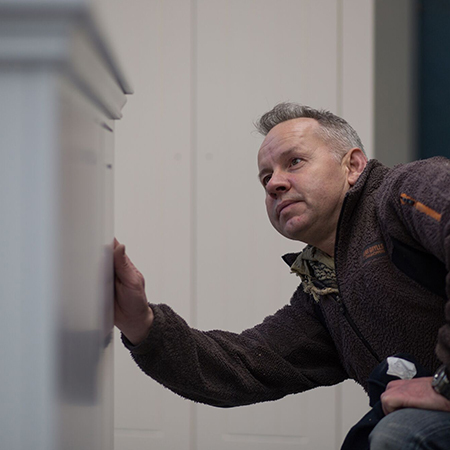 There is only one way to get the perfect finish on your painted furniture and that is slowly and carefully. 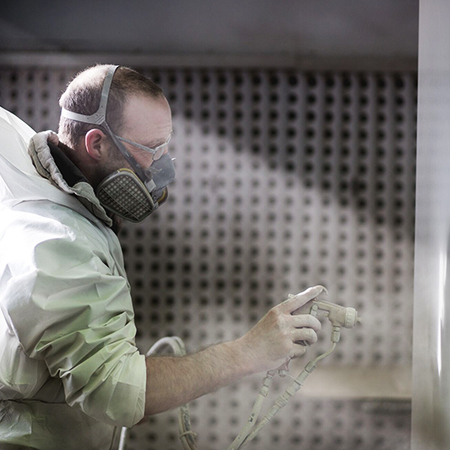 Each piece is carefully prepared before entering the first stage of the paint shop . 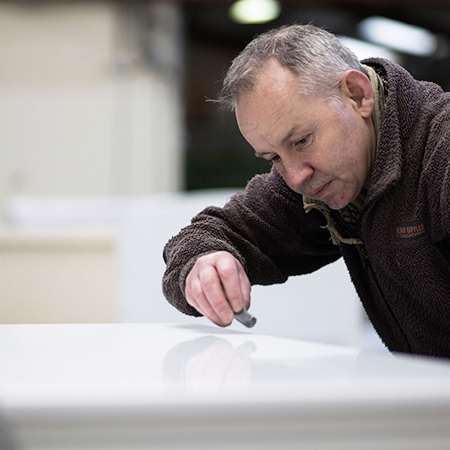 Here your furniture receives a base coat of primer, in either white or grey depending on the chosen final colour. Once this coat has dried the furniture is again inspected for any flaw which might show through to the top surface. 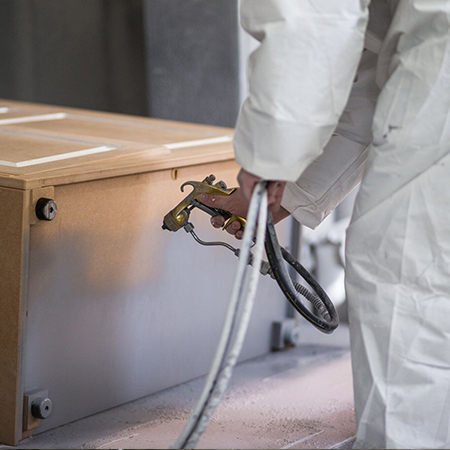 Only when we are fully satisfied is the furniture passed through to the top coat sprayers. 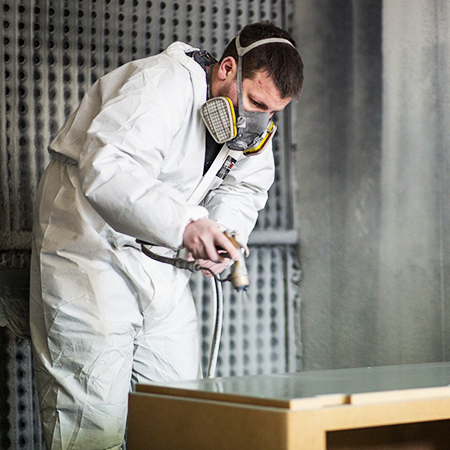 Spraying the top coat is a highly skilled job where experience counts above all else. Only two people in the whole factory have this skill level and it is nice to know that one or other of them will have personally painted your Furniture. carefully wrapped & ready to ship. 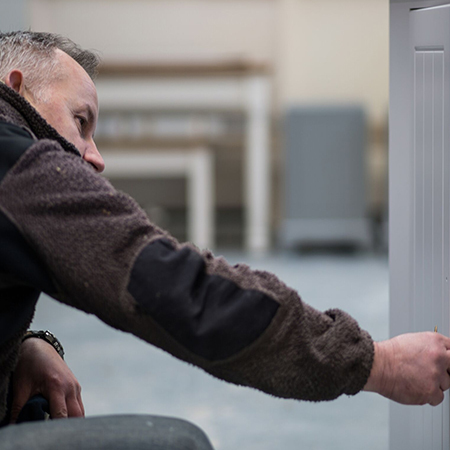 The painted furniture is moved from the paint shop to an infra red drying oven where it sits for a full 24 hours to ensure the paint is fully cured. Even when fully cured we like to leave the furniture to air for a good length of time which can be anything up to seven days. Before the furniture is finally wrapped ready to ship to your home each and every piece is given a good once over as a final quality check.